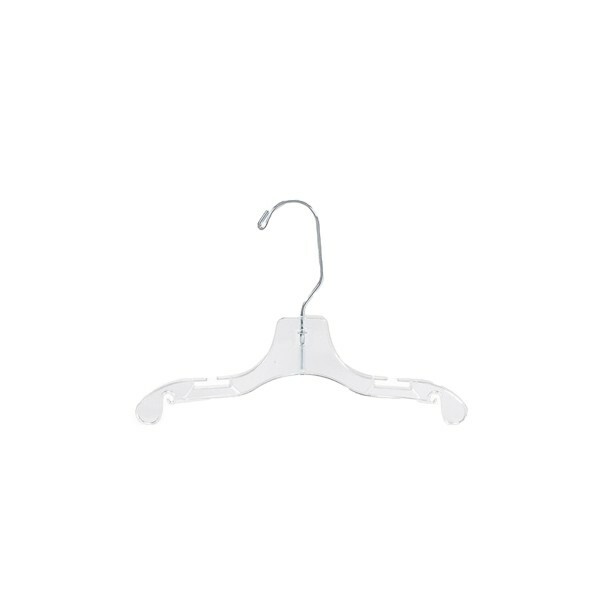 These 10" clear plastic children's dress hangers are great for any retail store needing to hang children's clothing. The plastic hangers also have securely anchored bright plated swivel hooks and notched shoulders for slip-free hanging or straps on merchandisers and clothing racks. Comes in a box of 100.